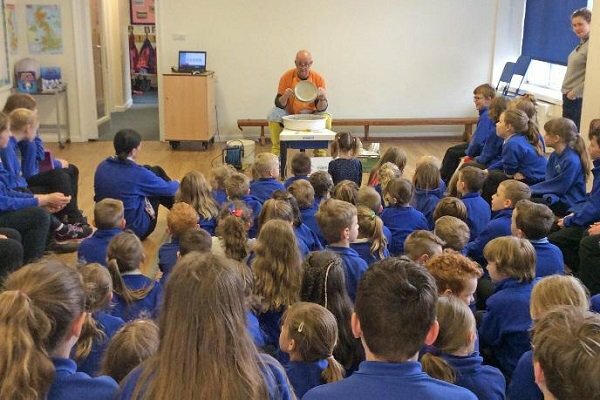 Around 1,000 school children have been learning about the importance of local Cumbrian produce thanks to a grant of £11,840 from the Westmorland Family Community Fund. The Westmorland Family Community Fund was created in 2010 by prominent Cumbrian family business, Westmorland Limited. Administered by Cumbria Community Foundation, the Westmorland Family Community Fund gives grants to support community projects including the development of young people and communities in Eden. The Soil Association received the funding to deliver the Food for Life programme in four primary schools close to Tebay Services: Orton Primary School, Kirkby Stephen Primary School, Crosby Ravensworth Primary School and Beaconside Primary School. The scheme links to the curriculum and encourages a better understanding of growing, cooking and learning to love good food. Schools work to a bronze, silver or gold standard, evidencing their achievements against agreed criteria. Activities have included a Farmers Market at Rheged, sausage making masterclasses and design a plate competition. The Food for Life programme has been a great success with each school taking part in all the activities on offer. The pupils enjoyed the programme and their appreciation of where food comes from and the importance of good food. The Westmorland Family Community Fund has continued to support this project for a further three years with the introduction of a fifth school: Tebay Primary School.